If DDG did leave, we have his replacement already in the club. So good to step in after a long break and perform like that. Great GK, he'd probably be a starter in some bigger club if he wanted to, amazing backup keeper to have. We have the best number 2 keeper in the world besides Navas. Cillissen always looks solid when I've seen him too. Great with the ball at his feet. Those are the top 3 #2's IMO. Not sure why he’s been a backup for the majority of his European career. As always, very lucky to have him. Fan favorite and rightly so. He is just 31 (will turn 32 in few days). He is good enough to play for most teams in the league, arguably he is better than Arsenal and Chelsea keepers. Y’know, a proper big club like City or Liverpool. Clubs that win things. Not sure whether Buffon is considered #1 at PSG, but between him and Areola, both are fanstastic goalkeepers. We're still a big club. Apparently statistically our best ever keeper. Forgot about Areola, he's solid too. Looking both Buffon and Areola up, they seem to be sharing the #1 position in the league, which is interesting. Buffon seems to be #1 in the CL, except for when he was suspended in the group games. Poor choice of words from my side mate. Not bigger than us, but bigger clubs in general, top clubs would have been a better word to use probably. Made some good saves today but was poor for the 2nd goal and his distribution was downright bizarre at times. Just hoofed it to the Wolves CBs and lo and behold we were on the defensive again. De Gea would have stuck out a leg there. Made a world class save in the first half, but I do think he should have done better with the two he did let in. Made a mess out of 2nd goal, made 3 great saves before that. Actually he was our MOTM which says a lot. Our only great player today. Conceded 2 but was still our MOTM tonight by far. Tells you all you need to know about tonight's game . Had a shocker with 2nd goal and may even have done better on first one. One excellent save though. De Gea is our best player, by this stage of the cup he should be playing. Romero is a great backup but has been a career number two for a reason. I know he made very good saves but I don’t want hear people questioning De Gea’s squad status ever again. 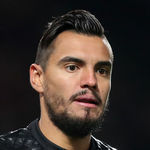 Romero will still be serviceable but we need De Gea’s level to challenge for the title. Very sporadic as is generally the case. Great save in the first half, disappointing for the first goal and downright awful for the second. Kicking fantastic on a couple of occasions and awful on others. Decent number 2 but that's about it. Agreed, can't say much more than that. Hopefully the rest gave De Gea time to refocus. Really need to save that 2nd goal imo. Sensational save from Boly(?) header. Hard to criticize because hes been fantastic every time he's stepped in but he should have probably done better for the second goal. Made a fantastic save following a header from Jimenez, though. How slow was he getting down to their second ? De gea could have conceded that second goal as well. He kept us in the game with 2-3 world class saves earlier. Made a couple of good saves, the only real choice for MOTM. I think he only made one mistake. poor positioning for the 2nd goal, letting too many space at the near post as he move more centrally anticipating the shot to the far post maybe, since Lindelof is already cutting down the angle of shooting. Considering that situation as the ball is moving away and a defender (Lindelof) is pressuring, not many strikers can shoot the ball to the furthest post, poor judgment by Serg there. Had a very good game until the first goal; a couple of great saves but then 2 goals which he could do a bit more to prevent. Was still our best player on the pitch by far though which says a lot of other players. Made 1 really good save and the others were standard but for me he should have been stopping their 2 goals. I mean really who knows this but they seem to me like goals that DDG would have prevented, especiallly that 2nd one. Edit: 2 good saves because he did great coming out to stop jota I think it was. Didn’t really think he was better than Smalling or Shaw. Saved us from a real humiliation. He should've saved both goals IMO.. undid all his earlier good work..
At fault for both goals but running away with the MOTM voting! Shows the general level of performance I suppose. He looked about 70 trying to get down for the second goal. still our best performer. result should've been two goals and it was two goals coneded. saved two certain goals and couldve done better on one of the goals. Why does he not get called up to the Argentinian NT? Probably one of the best back up keepers around. He's made some great saves consistently. And he barely plays. Shows how focussed he is. Helped us win the EL. It's nice to have a 2nd choice keeper that keeps you confident. A very rare thing. I Thought for the 1st goal he needed to calm things down a bit , we were under pressure and he balloons a ball up the field straight away it comes back up and they score .